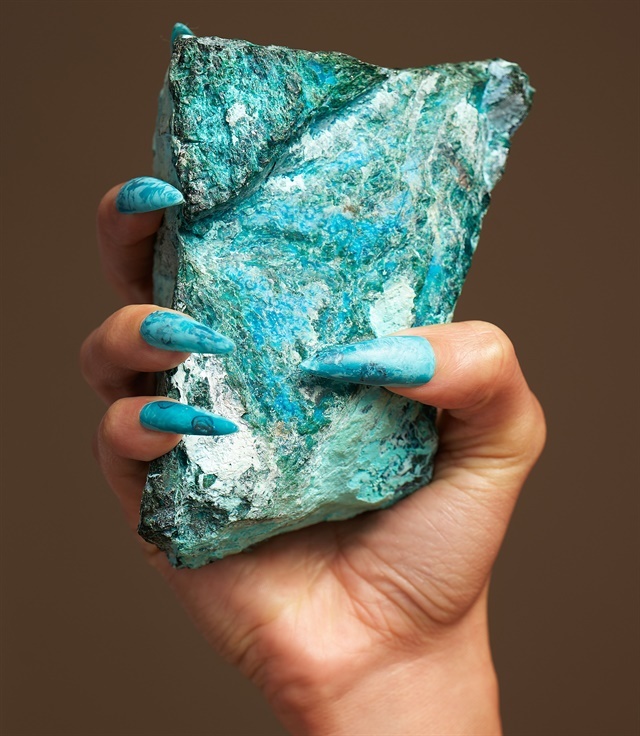 Nail artist Shirlee Ann Kerr wanted to do a shoot for over a year featuring Glendora Gems. 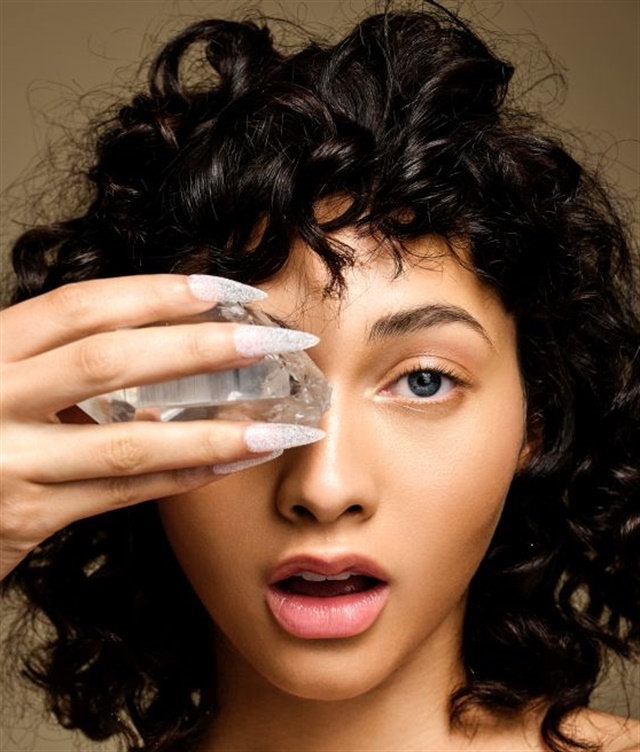 Nail artist Shirlee Ann Kerr wanted to do a shoot for over a year featuring Glendora Gems. Kerr has had a longtime affinity for rocks, gems, crystals, and natural elements. “I am in awe of their natural individual beauty,” says Kerr. Nails were created the day before the shoot, layering polish, gel-polish, and hand-painted details. The gold look features actual metal fragments. Kerr has been in the industry for 26 years and does freelance editorial work in Los Angeles.